A girl was approached by people in a van in Wellesbourne yesterday (Tuesday). 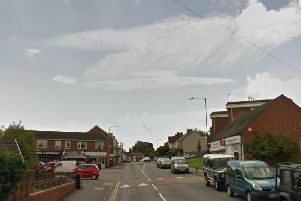 Police have said that a girl was walking in St Peter's Road yesterday morning around 8.45am when a white van pulled up next to her. Police were called out to the incident. The two people in the van then spoke to the girl, before she ran off. Officers said that there was no physical contact made and she was not injured. Inspector Dave Kettle from Warwickshire Police said: "We treat all reports of this nature seriously and officers will be conducting reassurance patrols within the area. "Enquiries are currently ongoing to identify the van. "If anyone witnessed the incident, please call Warwickshire Police on 101, quoting incident number 64 of 12 February 2019." Information can also be given to Crimestoppers on 0800 555 111.